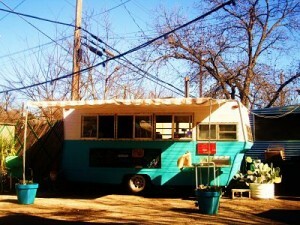 Many, many fond memories of the old Franklin Barbecue food trailer in French Place. This is the location of the original smokehouse that started what was to become a national phenomena. I used to love to stroll up here in the morning to pick up a pound of brisket to eat on out of the fridge for a couple days. It didn’t take long before even this simple act required some judicious planning. Used to be, you could count on getting some meat if the skies had opened up and it was pouring rain. Then people quit caring and they’d just stand there, like chained-up dogs, drenched and miserable, but hopeful that the meat wouldn’t run out before they made it to the window. Those days are long gone. Nomad Dosa, an Indian food trailer, sits on the hallowed grounds that is the former location of Franklin Barbecue, and I don’t doubt that it’s fine but I still get a lonesome feeling when I drive past the old asphalt parking lot in a rainstorm. Good meat can do that to a body. This entry was posted in Texas Barbecue, Texas Barbecue Photos and tagged Austin, barbecue, BBQ, best barbecue, Brisket, food trailer, Pork Ribs, sausage. Bookmark the permalink.